Peggy Sandberg, 72, of Little Falls, MN, formerly of Alvarado and Warren, MN, passed away early Monday morning, November 26, 2018 at St. Gabriel's Hospital in Little Falls with her family by her side. Peggy Elaine Olson was born on November 5, 1946 in Warren, MN, the daughter of Kermit and Mildred (Johnson) Olson. She was raised in Alvarado where she attended school and played cornet in the band. On January 28, 1962, she was united in marriage to Vernon Sandberg. They lived in various places including northwest Minnesota and South St. Paul, MN before settling in Naples, FL. Peggy worked in an assembly plant and in auto parts sales. Vernon died on September 11, 2004. Peggy returned to northwest Minnesota after Vernon's death. She moved to Little Falls in 2014. 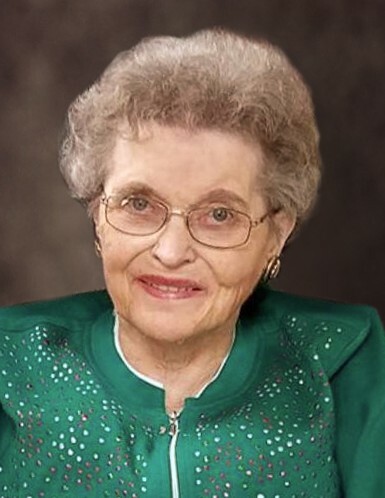 She was an active member of the Moose Club for many years and, in addition to her daily social visits there, her favorite activity was camping with her fellow members. Left to mourn her passing are two sons, Allyn Sandberg and Jeffrey (Ann) Sandberg; grandchildren, Cory, Mathew, Nicole, James, Nicholas, and Allyssa; eight great-grandchildren; siblings, Ken (Anita) Olson and Marlene (DelRoy) Shane; brother-in-law, Arlyn Stengrim; and several nieces and nephews. She was preceded in death by her parents, Kermit and Mildred; husband, Vernon; sister, Judy Stengrim; and daughter-in-law, Lisa. FUNERAL SERVICE: 10:30 AM on Saturday, December 1, 2018 at Kongsvinger Lutheran Church in rural Oslo, MN. VISITATION: One hour before services at the church.